Last winter, Peter Harris wowed Curious Minds audiences with Starchitects, a popular series examining the groundbreaking architects who built modern America. This winter, he returns to offer a globe-trotting survey of the international architecture stars who have left their mark on design capitals around the world. From the trailblazing visionaries Eileen Gray and Zaha Hadid to the landscape architects who have reshaped famous neighbourhoods in Paris, New York, Beijing and Toronto, this will be a rollicking journey through the greatest architecture -- and architectural minds -- of the modern age. It will cover brand new material that will delight both course alums and newcomers alike, and use the world’s architectural wonders to help us see the buildings and streets around us with a new sense of perspective. This course will be led by Peter Harris, the former Assistant Dean of the Faculty of Arts and Science of the University of Toronto. He previously helmed the popular Curious Minds series Starchitects and By Design: A History of Design Movements in the 19th and 20th centuries. Few women were able to crack the glass ceiling of architecture’s patriarchy in the early 20th century, but more recently they have made great strides. 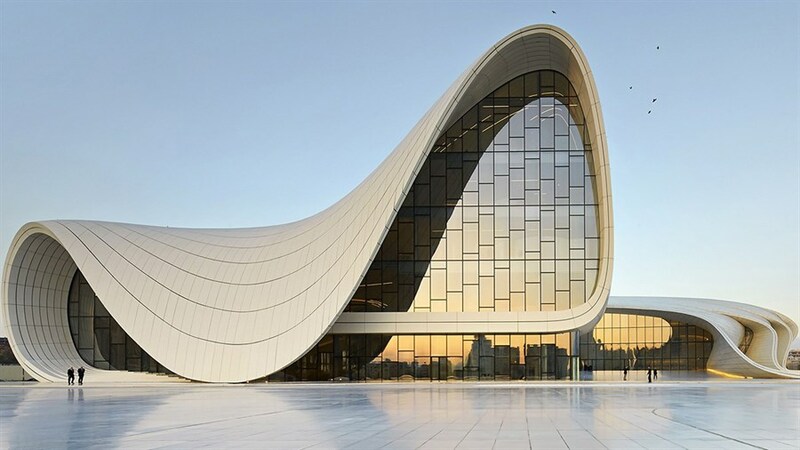 We look at some early figures in the liberation of architecture – Marion Mahony, Eileen Gray, Denise Scott Brown - and the talented women who have followed in their footsteps: Zaha Hadid, Jeanne Gang, Elizabeth Diller, among others. De-industrialized cities have presented architects and planners with complex challenges; what do you do with those old buildings? We will look at, among others, a grain elevator in Capetown that is now a Contemporary African Art Museum; a factory area in Beijing that is now a cultural hub; and an old distillery in Toronto that is now a buzzing cultural complex. What do you do with disused rail lines and freeways? We look at innovative efforts to repurpose urban infrastructure in Paris (the Promenade Plantée), New York (the High Line & Domino Park), Seoul (Cheonggyechon & the SkyGarden), Shanghai (Xuhui Park) and, of course, Toronto (Corktown Commons & The Bentway). Architects now have powerful new computer tools at their disposal: with Virtual Reality they can “walk” clients through their ideas, making changes as they go; they can 3D-print building components, whole houses – even a bridge! And a new, remarkable building material is being employed in large-scale commercial buildings: “CLT” (Cross Laminated Timber) – or, in plain old English: WOOD! In this lecture we look at some spectacular creations of the current crop of Starchitects, including BIG (Bjärke Ingels Group); Santiago Calatrava; Mecanoo; MVRDV; and Freddy Mamani (Bolivia). Several firms are involved in building NYC’s massive Hudson Yards site, including The Vessel, and The Shed. Toronto also has an impressive array of projects underway. We’ll conclude the series by exploring a few: the Studio Gang building at Delisle Court; Sidewalk Labs; One Yonge; BIG’s King Street West Community; the Penda Tree Tower.